Jesika grew up in in the Bay Area and received her BS in Healthcare Administration. She moved to Huntington Beach 5 Years ago to pursue her medical career. 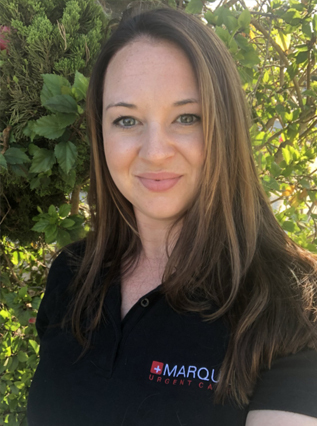 She’s been with Marque since 2017 where she stared at the front desk, where shortly after was promoted to a management role and we’re proud to say she’s now our Office Manager! She loves to cook! In middle school she spent a summer going to various cooking classes near her home just to learn new flavors and techniques. Every Sunday Jesika and her husband take their dogs to the dog beach to play in the ocean and long walks. Football and baseball are her two favorite sports and every year she goes to see her favorite teams in different stadiums.